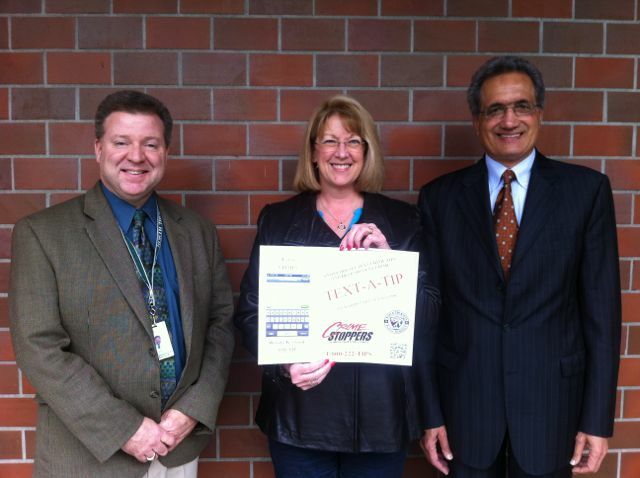 John Bash (left), Deputy Superintendent for North Thurston Public Schools, Robbi Wright, Crime Stoppers Chair, and NTPS Superintendent Raj Manhas announce the inauguration of Text-A-Tip in the school district. Crime Stoppers, a Thurston County non-profit primarily tasked with helping to solve and prevent crime, measures their success like this: during the first 20 years of Crime Stoppers, there were 905 suspects arrested, 922 offenses cleared, and a prosecutions to convictions ratio of 905:896. Impressive, isn’t it? The program paid 829 rewards totaling $161,260. The return on this investment is staggering, nearly two million dollars in stolen property was recovered and more than $6.8 million of narcotics were seized and removed from the street. How do you create such success? Creating Crime Stoppers success began with incredible volunteer dedication. Crime Stoppers began in March of 1991 with Thurston County resident John McCarthy and then Lacey Police Department Commander Ed Sorger. 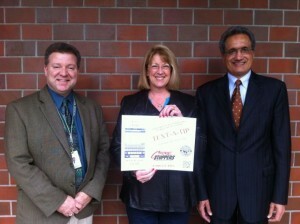 Sorger, who has since become the Chief of Police Services for The Evergreen State College, remains the Crime Stoppers’ Program Coordinator. Together, the two men, funded by a one-time grant from the Washington State Legislature, created a program dedicated to helping solve crime while supporting law enforcement and our community. Today, Crime Stoppers includes a 13-member Board of Directors and a 20-member Advisory Board, both comprised of citizens as well as current and retired law enforcement officers. 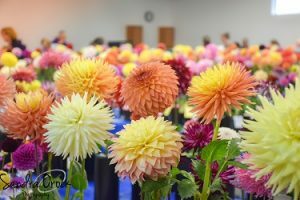 How do you grow success? 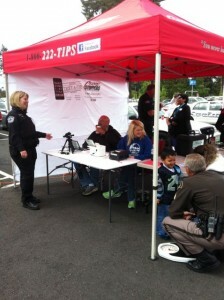 Crime Stoppers volunteers make child identification cards at the Lost But Not Forgotten event. My Child ID Club provides two wallet-sized ID cards for parents, including a color photo and child’s fingerrprint. 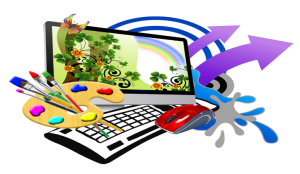 Text-A-Tip program was initially created to allow students to report information anonymously via texts, since this is one of their primary communication tools. It is now accessible to everyone with a cell phone. 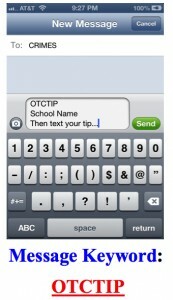 To send a tip, text the information to CRIMES, with the message keyword ‘OTCTIP’. With both a website and Facebook page, Crime Stoppers is able to connect with the community across multiple platforms, allowing people to find out about recent crimes as well as provide them an anonymous portal to report tips. 1-800-222-TIPS is a 24 hour / 7 day a week multi-lingual service that allows citizens to report tips any time of day in any of the languages and dialects spoken in Thurston County. Working with churches, parent teacher associations and local businesses Crime Stoppers is spreading the word of their work and encouraging groups to become informed and help law enforcement reduce and solve vandalism and theft. Crime Stoppers reaches out to neighbors by providing metal signs for and meeting with homeowner associations. Crime Stoppers provides families with the best practices for protecting their homes and neighborhoods. In 2014, Crime Stoppers will be launching a new program county-wide to help with the issues of elder abuse. 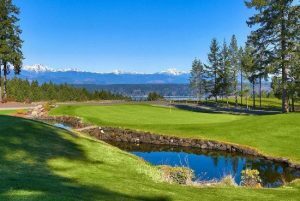 Crime Stoppers sees this as a growing need as the number of Thurston County residents over the age of 65 is predicted to reach 20% over the next decade. Stopping and preventing senior abuse will be a growing focus for the organization. While the majority of these programs are focused on crime prevention and reporting, Crime Stoppers plays other important roles in the community as well. No matter what the content of the tip, Crime Stoppers ensures it ends up in the hands of the appropriate organization. Whether the information is about school bullying, a senior’s depression or other issues, Crime Stoppers makes a difference, connecting individuals with the community resources that can best help them. How can you contribute to this success? Instructions on how to Text-A-Tip to Crime Stoppers. Crime Stoppers began with the passion and dedication of two Thurston County residents, and now it’s success depends on the participation of us all. There are many opportunities for individuals to contribute to Crime Stoppers. First, if you are aware of a crime, please report your tip. Use any of the above mentioned avenues to report what you know, providing as much detail as you can. Rewards for tips can be as much as $1,000.00. The organization emphasizes that no matter how you report it, your information is guaranteed to be always anonymous. Individuals providing tips never have leave their names or appear in court. Second, Crime Stoppers is a Washington State non-profit organization which operates completely through donations and grants. If you, your business or civic organization would like to financially support Crime Stoppers, you can donate to them here. While both of those contributions can take place year-round, there is also a seasonal fundraiser for Crime Stoppers that is just around the corner. Each December you can participate in the Reindeer Run. This year’s 5K and one mile runs take place at the Hands On Children’s Museum on Sunday, December 8, 2013. The one-mile Candy Cane Race is free. The 5K race registration is $30.00 and the deadline is Saturday, December 7, 2013. Entry into the 5K race includes a scarf and jingle bells. Post race cheer includes awards given to the winners of each age category and candy canes, gingerbread cookies, hot cocoa and coffee for all. In addition to the museum, the race is sponsored by South Sound Running, Club Oly Running, On The Run Events, and Guerilla Running Racing Club. If you happen to spot an unusually dressed older man with a white beard, no need to call in or text, Crime Stoppers says they’ve heard the rumor that he’ll be at the race in order to check out who has been naughty or nice.